Deck the halls and paint the trees, it's Christmas, Christmas, Christmas, Yippee!!!!! 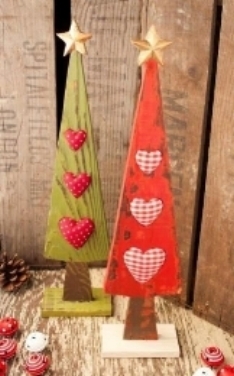 You will have your choice of 3 wooden Christmas trees to paint and decorate. A variety of materials will be available for you to create fun unique trees. You can even make sweater trees with old sweaters. It's a great way to get into the holiday spirit! Sign up today!